Like many others apparently, I recently purchased an IBM WorkPad z50 Windows CE subnotebook. Heavily discounted, down to about $200 to $300 US, it appears that IBM is getting out of the Windows CE arena, which is too bad considering how great the machine is. Even so, it does have both advantages and disadvantages. If it appears it will work for your needs, I highly recommend it. With this page, I've written up my initial impressions in hopes they may help you make your decision. The WorkPad runs Windows CE, a scaled-down operating system that is similar, but not the same, as "normal" Windows such as Windows 95, 98, NT, 2000, etc. Windows CE is intended for smaller devices and includes a user interface that works a lot like the normal versions of Windows, making it easy to get up to speed on the z50. Windows CE devices are powered mostly by a number of RISC chips. The main platforms so far are the Hitachi SH-3 and the MIPS chips, although you can also find the Hitachi SH-4 or ARM chips in use, too. These devices do not run Windows programs. Instead, you have to get software specific to the version of Windows CE you have and the chip in your device. There are a number of different Windows CE devices. Some are palm-sized units without a keyboard at all. These units are aimed at the same market as the more-popular PalmPilots. Other CE units have a small keyboard with a clamshell design. These clamshell units tend to come in two flavors: smaller "organizer" units like the HP 680 and NEC 770, ranging in size from very small (smaller than the Psion 5) to about the size of a VHS video tape (the afore-mentioned NEC), and larger notebook replacements that sport larger screens and look much more like true notebook computers. The smaller units tend to have a screen resolution of about 640x240 pixels. The vertical height is very limited to help reduce the total size of the units. The larger units tend to range from 640x480 pixels to 800x600 pixels. This is still small for notebook computers, but that's part of the point. CE units are designed to be small light-weight units (good for consumers) and they are also designed to not compete with normal notebook computers (bad for consumers). The larger units tend to be called H/PC Pro units, short for Handheld PC Professional, the current high end version of Windows CE. In a skillful naming scheme, the WorkPad runs Windows CE version 2.11(the latest version as of this writing) but the built-in applications are at version 3.0. Thus, you'll see a lot of conflicting references to either version 2.11 or 3.0. (The WorkPad is both, so there.) Don't worry, this is the latest version of Windows CE. Windows CE devices are "PC Companions" and they all depend on a real PC for many tasks. For example, most software packages require you to install from a PC (the installation program is often a Windows executable that you cannot run on the CE unit). Many other functions are tied to the PC, which means that even though a CE device is a real computer, it tends to act as an extension of your other computers, which is a real shame, I think. Windows CE uses static RAM (or at least constantly-powered RAM) for storage. Most units come with about 16 MB of RAM, which is then cleverly divided between Storage (similar to disk space) and Program memory (similar to RAM on a normal computer). Thus, with 16 MB of RAM, you have about 8 MB for Storage and 8 MB for running Programs. I really like this part of the CE interface, because with a slider in the Control Panel, you can adjust the amounts of static RAM allocated to each area. The Windows CE operating system is stored in ROM, with a much-touted ability to execute programs from ROM (called XIP or execute in place). With Windows CE 2.0, though, this ability was totally defeated by the fact that the programs on ROM were compressed to save on ROM space (shaving a few dollars from the price). This meant that programs had to be read in from ROM and decompressed into RAM to run. I'm not sure about Windows CE 2.11, but I suspect this is the same, as the ROM sizes didn't seem to go up appreciably between CE 2.0 and 2.11. The CE units with keyboards include a "Pocket" office suite in ROM, too. This includes "Pocket" versions of Microsoft Word, Excel, Access, and Power Point. These pocket versions are not the same as the full-size versions on real Windows. Pocket Word, for example, provides only few of the features of full-blown Word. Even so, I use this application for writing every day and it has the most crucial features of a basic word processor. Pocket Excel works similarly. It does not offer all the features of the real Excel, but it allows you to create and edit spreadsheets just fine. Pocket PowerPoint is the most limited. You cannot edit your slides, but can add a title page. Many CE units have a VGA output cable, so you can run your PowerPoint slides to a projector. Unlike notebooks, you cannot use this VGA output to hook up a monitor for normal usage, as the VGA output only works with Pocket PowerPoint. Even so, if you travel a lot, you may find a small light unit like the z50 travels easier than heavy-weight laptops. The Pocket office applications use their own file formats (.pwd for Pocket Word, for example), so you must convert Word files back and forth when transferring files to a PC. This is one more way that CE units are tied to a real PC. (You can also download a Microsoft program that runs on CE and can convert normal Word, etc., documents. This is to help deal with problems related to email attachments. CE units cannot read MS Word files and other computers cannot read Pocket Word files, for example.) With CE 2.11, Pocket Word can save files in Word 97 format, which is a real help. In normal usage, you connect your CE unit to your PC via an included proprietary serial cable. On the PC side, you run Microsoft's ActiveSync software to establish a connection to your CE unit. Tip: You can set your PC to listen at the serial port for any connections, speeding up your synchronization, but I found that the software that constantly polls the serial port for connections really drained performance of my Windows system. (I see a busy cursor about every other second while I am doing nothing on the PC.) Instead, I set the synchronization to manual and must launch ActiveSync on the PC to get the ball rolling. With ActiveSync, the software will automatically synchronize your Outlook data (contacts, calendar, email, etc.) with your CE unit. If you "live" in Microsoft Outlook, CE will work really well for you. If you don't use Outlook that much, CE can still prove useful. As part of the synchronization process, you can transfer files to and from the CE unit. Because of the differing file formats, this process automatically converts documents such as MS Word files. Pocket Word, though, does not support many formatting options of Word, meaning you lose something in translation. I've written a number of books and articles. I do a lot of that writing on Windows CE units. But, I tend to not format my documents on CE because of the translation issues. I leave the major formatting for the PC. And, once I've applied all the styles to my Word documents (my book publisher in particular has an extensive set of Word templates), I don't edit the files on my CE units anymore. Others may be able to get away with it, but I've had a few problems with translation, so I tend to do the final editing and formatting on a PC. The synchronization is a somewhat long process involving extensive interaction. With early CE units, you could not synchronize while using dial-up networking, so I tend to never be connected to the Internet while I synchronize. For some bizarre reason, the Active Sync software on the PC side always tries to launch the first dial-up networking setup it finds (ironically, the slowest link for me and one I almost never use). So, I'll start synchronizing, and up will pop up the Connect dialog, which I have to cancel. This appears for a second time, which I also cancel. Then, if you are not running Outlook, the ActiveSync software will launch Outlook for you, so I get a dialog asking whether I want to run Outlook offline (which I do since I'm not connected). Then, ActiveSync syncs up all my appointments, etc. After this is done, you can launch an Explorer window from ActiveSync to transfer files to and from the CE unit. (Note: you can automatically transfer files stored in \My Documents\Synchronized Files on your CE device.) This Explorer window also launches the dial-up networking Connect dialog, making it the third time I have to tell ActiveSync that I don't want to dial in. This synchronization process is one of the weakest areas of Windows CE. In contrast, my Palm V syncs completely in the time it takes Active Sync to display the first dialog I have to cancel. Furthermore, with Windows CE, you "bless" one PC as the master for synchronization. CE assumes that the PC, not the CE unit, holds the true data. While you can set up "guest partnerships" with other PCs, CE assumes you are primarily working with one PC and that PC holds the master copy of the data, particularly the Outlook data. This is in contrast to the PalmPilot, which tends to view the handheld device itself (the Palm) as the master. With PalmPilots, you are encouraged to purchase extra synchronization cables so that you can synchronize at work and at home, too. The WorkPad z50 sports a clam-shell design and a reasonably large keyboard. It looks like a small light-weight notebook computer. In fact, it looks very much like IBM's ThinkPad series of notebooks, only slightly smaller. The screen displays 640x480 pixels, or old fashioned VGA resolution. This is actually large for Windows CE units (my previous units had 640x240 pixels). It is not the top of the line in the subnotebooks (other CE units sport 800x600 pixels), but the "extra" resolution (compared to my other CE units) is really great. I can see a lot more of my Word documents than with my previous CE units. I find the keyboard excellent, but this is largely a matter of taste. (My wife really likes the Compaq Presario laptop keyboards and I find I'm not very productive on them, and those keyboards are larger than the z50's.) The keyboard is large enough to type on and has a good feel. Tip: IBM also sells a PalmPilot clone under the WorkPad name. Be sure to look for the WorkPad z50 and not just WorkPad or you may buy a PalmPilot instead of a Windows CE device. Perhaps the hardest feature of the z50 to get used to is the pointer. Most CE units provide a touch screen with a stylus. Even though this means you have to take you hands away from the keyboard to make a "mouse" pick, I find these types of systems very easy to use. Some larger CE systems, such as the HP Journada 820, use a touch pad, just like on many laptops. The z50 comes with a "prong", called a track point, situated between the G and H keys. You move this prong like a mini-joystick to control the mouse position. Two buttons at the front of the keyboard act as the mouse buttons. It's been hard getting used to the prong for moving the mouse. It is a lot slower for me than either a touch pad or the stylus found on other systems. Now, many laptops, including IBM's ThinkPad line, come with a similar prong, so a lot of people may already be familiar with this design. I still find it hard to make mouse picks, but I am getting more and more used to it. Another troublesome feature is with the DSTN screen: I find I often "lose" the mouse. I have to twitch the prong a bit to try to see where the mouse cursor is located on the screen. This can be harder than it seems (and definitely harder than it should be). All of this adds time to making mouse picks. Luckily, the keyboard is really good. The z50 comes in a box with professional-looking IBM documentation, a serial cable for synchronizing to a PC, a phone cable (for the built-in 33 Kbps modem), a Windows CE CD-ROM and an extra CD-ROM. IBM provides full details of what's in the package. In all, it looks very professional and was quite easy to set up. Tip: There's a soft reset hole on the bottom of the device. To perform a soft reboot, you insert a paper clip into the hole. The trick is that this will not work unless the device is on. I didn't catch that right away and so thought the soft reset didn't work. The WorkPad z50 is my third CE device, and each one keeps getting larger. Now, most of what I want in a CE device is instant on and the ability to edit MS Word documents (which you get after converting the documents to Pocket Word format). For this, CE devices work great. My previous systems were an HP 320 LX, a very small clamshell unit and the largest available CE unit at the time. It's keyboard was really too small to work on. In 1998, I purchased an LG Phenom Ultra, which sports a larger clamshell design, about the size of a VHS video tape when sealed shut. The Phenom worked great and has a great keyboard (not as good as the WorkPad's, but very good nonetheless). 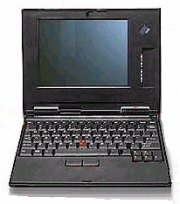 The main problems with the Phenom were the smaller screen resolution (half the vertical pixels as the WorkPad, at 640x240 vs. 640x480) and very short battery life. The Phenom is smaller, though. A nice feature of the Phenom is that you can open the screen so it is flat with the keyboard, that is 180 degrees. With the WorkPad, you are warned not to open the screen too far. It does not go near to 180 degrees. Of course, my Phenom has worn out so that it the screen will not stay in position without support, but it still opens all the way. The Phenom had two major problems which were quite troublesome. First, I could never get the Phenom modem to work properly. After messing with the modem AT commands and manually entering a dial string, I could get the Phenom's internal modem to connect, but not to maintain a connection. I would get disconnected right away. I'm not a modem expert, but this is a far cry from the WorkPad, which connected right away and continues to work fine. The second troublesome Phenom problem seems an inherent problem with either Windows CE on the Hitachi SH-3 RISC chip, or with the SH-3 chip itself. At various times, the unit will just slow down dramatically. For example, when displaying a list of files in the Windows Explorer, you might see one file name, wait seven to 10 seconds, and then see the next file name. This is on a screen that shows about ten files max and using the local storage (I know the CF cards, for example, are slower than the internal storage.) At other times, Pocket Word would appear to freeze up. After about 30 seconds of no activity, the application would seem to wake up and try to catch up with my typing. I had this problem mostly with Windows CE 2.0 on both the HP 320 LX and the LG Phenom, making me think this has something to do with CE on the SH-3 (both devices used the SH-3 RISC chip). The WorkPad uses a RISC chip from the MIPS 4000 family, so it will likely experience other problems with Windows CE. 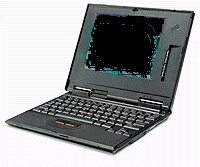 When you open the z50 case, you see a subnotebook computer that looks a lot like the IBM ThinkPad laptops. Like most laptops, the keyboard does not present all the keys you expect on a desktop keyboard. For example, the Home, End, Page Up and Page Down keys require you to press Alt and one of the arrow keys. (This is exactly the same scheme as on my LG Phenom, which really helped my transition.) The numeric keypad, if you can call it that, are regular Qwerty keys with extra labels, making the "keypad" go in a Northwesterly direction. Across the top of the keyboard are 12 application keys, which you can configure to run any program. Most of the keys come pre-configured to run the built-in applications such as the Pocket Internet Explorer. The WorkPad includes a set of templates you can place above the keys to clue you in to their purposes better than the A1 to A12 displayed on the keys. I'm tempted to install the Japanese template. The screen appears small in comparison to laptop screens, especially since the screen does not take up nearly the entire panel it appears in. To the right of the screen are some very large controls for brightness and contrast, which take up space on the same panel as the screen. The whole unit folds to a nice small size, larger than the Phenom but still a lot smaller than a full-sized notebook. It fits easily in the bag I carry to work every day. 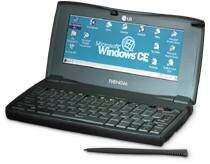 With the HP 320LX and the LG Phenom, Windows CE comes up within 1 or maybe two seconds. This is truly "instant on" and one of the best features of the machines and Windows CE in general. I really need the ability to get to work right away and I often work in small time increments (such as five to 10 minutes at the breakfast table). Instant on is the prime advantage of Windows CE. The IBM WorkPad, however, doesn't come up anywhere near as quickly. It takes at least three seconds for it to come up. This is still better than any notebook I've seen. IBM helps with this extra time by automatically turning on the machine when you open the case. It takes me a few seconds to get the case open and pull the screen up into position. Generally, the unit is on and ready to function by the time I get the screen into position. It is a bit disconcerting, though, to press the power button and have nothing happen for a few seconds. Unlike with the rest of the keyboard, there's not a lot of feedback that the unit really is powering on. Just wait a few seconds and you'll see results. I found a number of things work well on the z50, but there are also some problem areas. I'll start with the good things first. I am very happy with the battery life on the WorkPad. While the LG Phenom claimed a five-hour battery life, I was lucky if I got more than two and a half hours out of it. Furthermore, the LG started popping up dialogs whenever the power went under 50%, which tended to get annoying. Down to about 20% of power, and you spend most of your time getting rid of the extreme low power dialogs. Argh. The WorkPad runs for much longer. I have not done any formal tests, but it appears to last at least twice as long as the Phenom if not more. The claim is something like 8 hours and for once, the claim seems to fit reality. After giving up in frustration with my LG Phenom, I was amazed at how easily the WorkPad simply connected. All I needed was the phone number for my Internet Service Provider (ISP) and everything worked flawlessly. With the LG Phenom, the modem would connect and then soon after disconnect. I tried all sorts of AT modem commands to try to get it to work. With the WorkPad, I had no trouble at all with the modem. Tip: Windows CE will attempt to dial long distance, and generally fail when you set up dial-up networking. This is because CE thinks you are located in a different area code. To fix this, call up Dialing from the Control Panel and set your local area code. When you first start up the WorkPad, you notice that a lot of memory is used right off the bat. By default, you get 8MB for storage space (like disk) and 8MB for program space (like RAM). I found that about 4-5MB of program space (RAM) was used just by the O.S. This is a lot higher than the amount used on the LG Phenom. In fact, this large amount of memory used convinced me to go out and purchase the 32 MB memory add-on. Tip: IBM uses a proprietary memory add-on. Make sure you get the right part. With it's built-in 33 Kbps modem, the z50 works fine for browsing the Internet, but the speed is terribly slow. This is more than just the slowness associated with a 33 Kbps connection; instead it seems that the Pocket Internet Explorer application is just plain slow. Furthermore, the "Back" button failed when performing searches on the Amazon bookstore. For example, if I searched on a topic and then clicked to see more about a book listed in the search results, I could not click on the back button to go back to the search list. This likely has something to do with either the URLs or with cookies (I had cookies turned on, by the way, so cookies shouldn't have been the problem). The search criteria gets listed in the URL, so if Pocket IE has a length limit on the URLs stored in its history that's too small, that would mess up the back button with searches. I've had a lot more problems with Pocket Word on the z50 than I have with my previous (SH3-based) CE units, including an LG Phenom Ultra that should be running the same version of Windows CE (2.11), albeit on a different RISC chip. I've had two total freeze-ups of the z50 both while running Pocket Word on Word files that are not formatted too complexly. That's a real problem in my book, since most of what I use the z50 for is word processing. I recently started a new book project (a second edition of an earlier Perl book), and when I tried to transfer over the old chapter files from my publisher, the data transfer crashed up the ActiveSync software on Windows 95. The software just died with no crash dialogs or error messages. The windows just disappeared. Since that time, I've been converting all my Word documents to text on my PC and then editing them in Pocket Word without formatting. This is a bit of a pain, but appears safer. This cover design mostly appears to be a plot to sell more units of the optional docking station. With the docking station, you can connect the serial port cable to the docking station and then simply slide the z50 onto the docking station to connect. Since I didn't want to pay extra for the docking station, I end up leaving the protective serial port cover partially closed but not latched, so it comes out easier. In addition to my Windows CE machines, I also have a Palm V handheld. It's been very interesting to compare the two systems. The PalmOS is essentially a flat-file database. The address book application, for example, really just edits records in the database, one record for each person in your address book. The Memo application allows you to create text memos, but again, these are really just database records (a bit more free-form records, but part of a database nonetheless). This makes the Palm incredibly easy to synchronize with a PC. As mentioned previously, the Palm completes its synchronization in less time than it takes the ActiveSync software for Windows CE to display the first dial-up networking dialog. So the Palm appears to be a very specialized device with most applications just sitting on top of a database. Windows CE, on the other hand, appears as a more general-purpose operating system. You can run a wide variety of applications like word processors, that just don't make a lot of sense on the Palm. 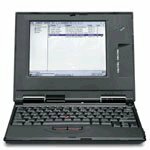 But, Windows CE has its own limitations, especially since it was limited on purpose so as to not compete with full-fledged laptop computers. Furthermore, I really like the Palm Windows desktop software. This software combines your schedule, address book, memos, to-do lists, etc., into one display. I like the integration and I really like the ability to categorize just about all items. On the Palm, you can state that a given address book entry belongs to a category, such as Business, Personal, or one that you make up. You can apply these same types of categories to most of the other Palm applications, such as schedule items, memos, to-do list items, and so on. This provides a very simple yet consistent way to organize your work. If you like Windows CE, then the WorkPad could be a great, and cheap, CE unit. It does everything you expect of an H/PC Pro device and comes at a price that is hard to beat. The WorkPad could also form a cheap PC for kids to do their homework, etc., but note that CE units are really tied to PCs. If you're a parent, you have to be willing to let your kids sync their WorkPads to your PC. Since CE units don't have hard disks, then tend to be more resilient to mistreatment than PC laptops. If you don't know what Windows CE is, though, then chances are the WorkPad will not be a good choice for you. And, if you like the Psion systems better than Windows CE, why are you still reading this and not off ordering a Series 7 unit? Eric Foster-Johnson wrote 14 books on Linux, UNIX, programming, and open source tools including Graphical Applications with Tcl and Tk and Cross-Platform Perl, the first Perl book to cover Perl on both Windows and UNIX. He can be reached at erc@pconline.com or http://www.pconline.com/~erc/. Copyright ©2000 Eric Foster-Johnson, erc@pconline.com.